Just over three years ago, they served in Afghanistan at the same time with the International Police Peace Operations Program. 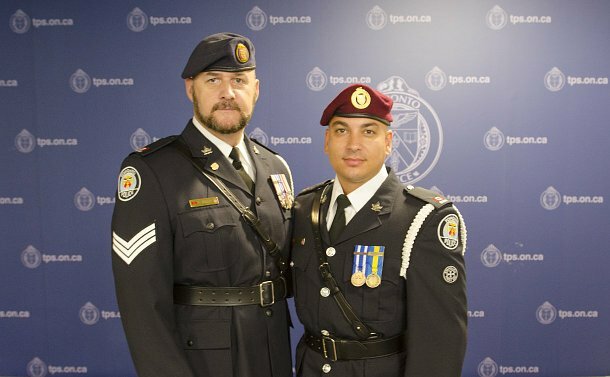 Now, Sergeant Dale Corra and Constable Gregory Boltyansky are heading to Ukraine, which is in the process of creating a new national police service. Canadian police are assisting with reforming policing in the Eastern European country, as well as providing strategic advice on broader security-sector reform, with the long-term goal of contributing to the rule of law, minimizing social unrest, maintaining security and improving the relationship between citizens and police. Boltyansky, who leaves on September 28, is excited to be going on this assignment because of his family ties. He and Corra will design community policing programs for the Ukrainian police. Corra was a senior adviser to the International Police Co-ordination Board while in Afghanistan. Since 1999, a total of 91 Service members have been deployed to Bosnia, East Timor, Kosovo, Jordan, Afghanistan, South Sudan, Haiti and Ukraine through the Royal Canadian Mounted Police International Peace Operations branch. Almost 300 Canadian police officers worked as trainers and mentors during the Afghanistan mission that ended in 2014.